English learners (ELs) are the most rapidly growing segment of the total pre-K-12 public school enrollment - growing 16% from 2003 to 2014. How can educators effectively address the needs of this growing segment? Check out our ebook for recommendations on effective instruction for ELs. Next, read about the literacy growth that six Arizona schools experienced with their EL population as a result of implementing those recommendations with our solution. Get the pack sent to your inbox! 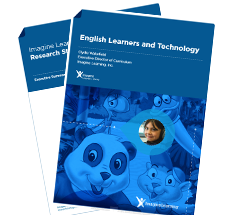 *By submitting this form you agree to receive marketing messages from Imagine Learning. You can opt out at any time.